SAN DIEGO—Porter24, a digital advertising company providing hospitality solutions through an interactive touchscreen concierge service, has expanded into the Los Angeles marketplace. 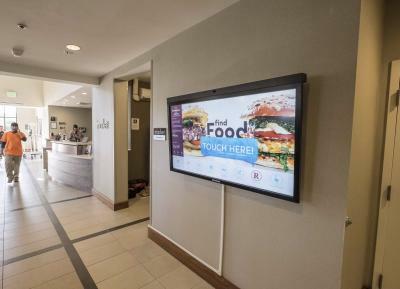 The DoubleTree by Hilton LAX-El Segundo and Residence Inn Los Angeles Torrance/Redondo Beach implemented the touchscreen application at their properties. Porter24 recently unveiled its Complete Suite feature equipped with free charging stations compatible with Apple and Android devices. According to the company, users can plug in, interact and stay up-to-date on all things travel including monitoring flights, checking weather and finding local restaurants with the swipe of a finger. Users can also snap a selfie to be shared directly to social media. The interactive touchscreens come in various sizes between 50-in. to 65-in. and custom builds are available.